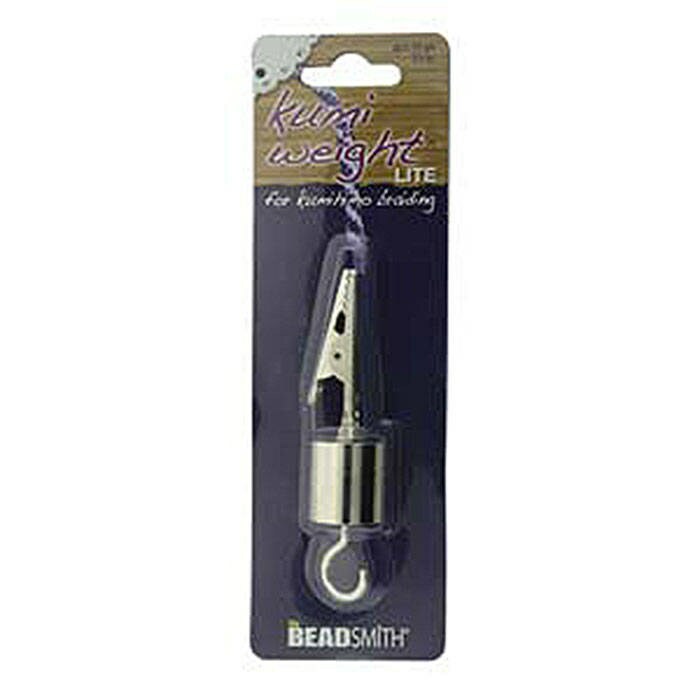 Make the process of creating kumihimo braids easier by using the Kumi Weight! 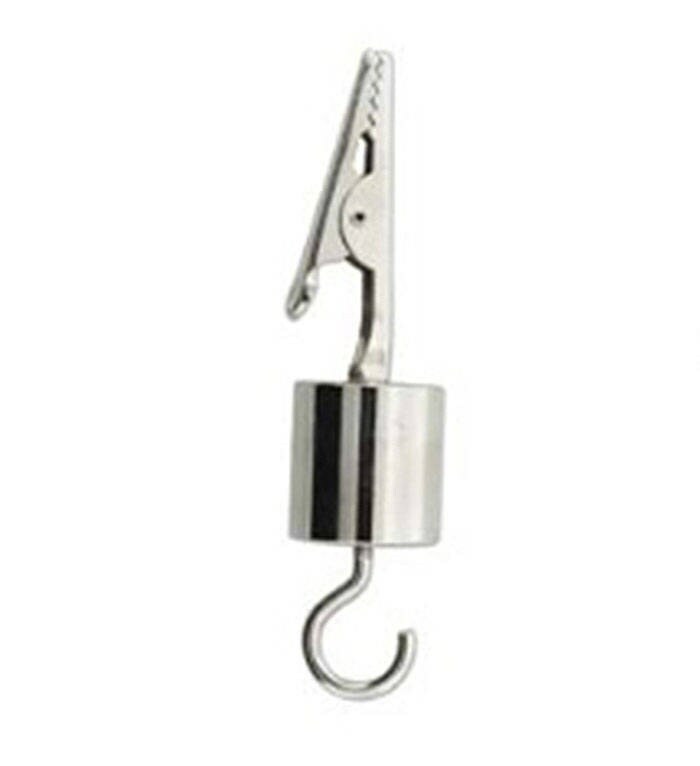 This weight keeps braiding tension consistent when you easily attach the alligator clip to the end of your braid. The ideal weight for a consistent weave of your braid. The Lite weight is about 1.6oz./45gm. The light weight is great for 8 strands of 1mm cord or smaller (such as braiding a beaded necklace), or 16 strands of beading cord. Small enough to fit through the center of your Kumihimo braiding disk.